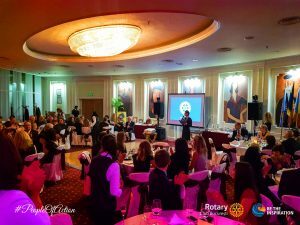 For 5 years, Rotary Club Bucharest is among the recipients of Crucea Alb-Galbena Services, elderly people, alone and without support. 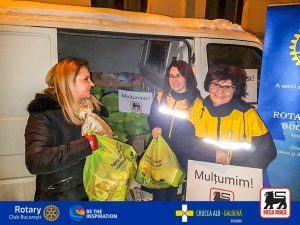 This year, on Christmas celebration, Rotary Bucharest has found great support in MEGA IMAGE, which donated 100 packages of food to seniors funded by the foundation. 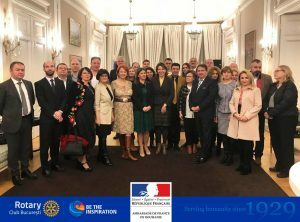 We have remarkable people who inspire us through their elegant presence, remind us of the values of our club, urge us to consider the friendship that brings us together, encourages us to face the challenges with serenity and wisdom. 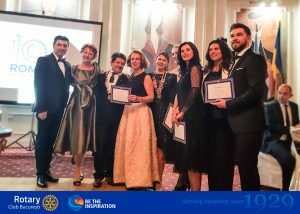 We were glad to have the District Governor Cristian V Jurji, at this event dedicated to the homage to our friend, Rotary Club member of Bucharest, Alexandru Morosanu and the perpetuation of his memory by supporting the “Alexandru Morosanu” Contest. 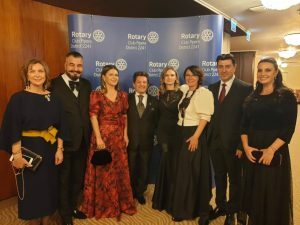 Our club members participated with enthusiasm at the Romania 100 Charity Ball, dedicated to the 100th anniversary of the Great Romanian Union, an event hosted by Rotary Club Pipera for the benefit of the School for Hipoacoussians. 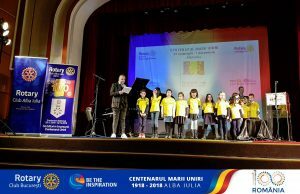 Rotary Club Bucharest, through its members, joins the Rotarians from Romania and the Republic of Moldova to celebrate a historic moment: The Centenary of the Great Union, bringing together Rotarians from all over the country.